Y’all!!! They’re READY! Today is the day! Are you ready to learn about yourself, create manageable goals, and cultivate what matters?? I’ll show you mine from this past year, and tell you all the wonderful things about them! Here’s a screen shot from the Cultivate What Matters website, on Powersheets! You begin the year with a hearty “get to me” section. I was *not* thrilled about this…. I abhor looking into my why’s and how’s, and don’t do well with accepting my.. we”ll call them *issues. * But! With the help of a close friend, I POWERED through, and learned so much about me! Next couple pages you spend some time writing your thoughts and feelings…. And, recollecting on the month passed. 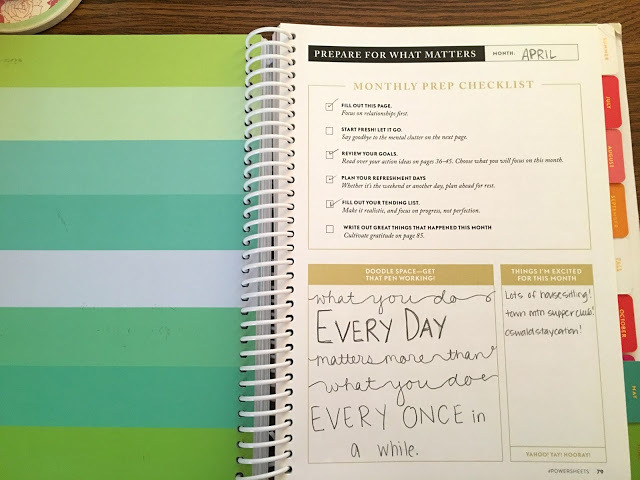 THAT was so helpful… And, each month I almost wrote the exact same thing…. ((It takes me a while to learn….!)) Then, you move onto the Tending List. 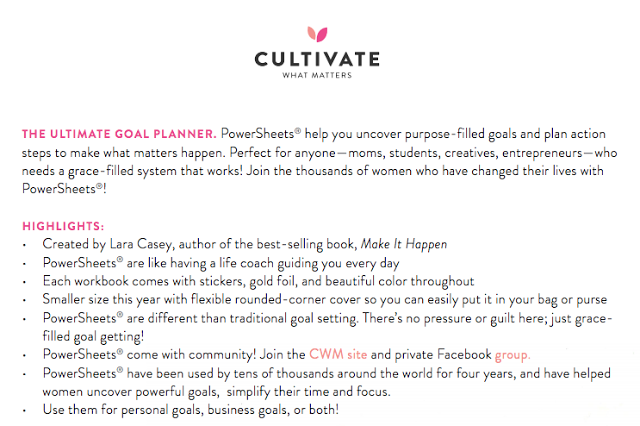 Fill this in using the goals you set at the beginning of the year…. I like to doodle all over! 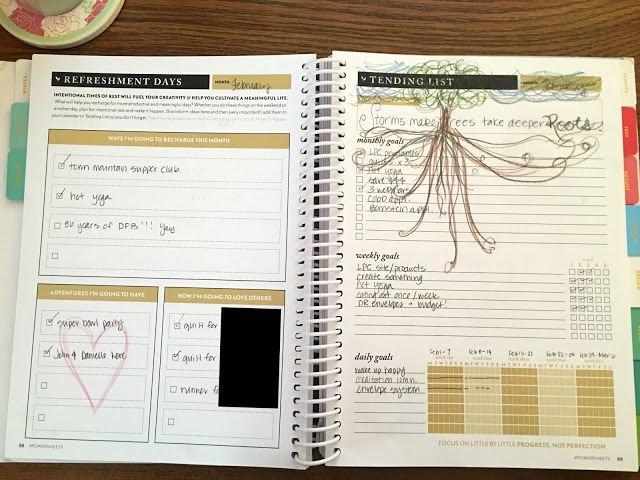 This year, the books are bit smaller; the size of an agenda planner! I am super excited about this!! 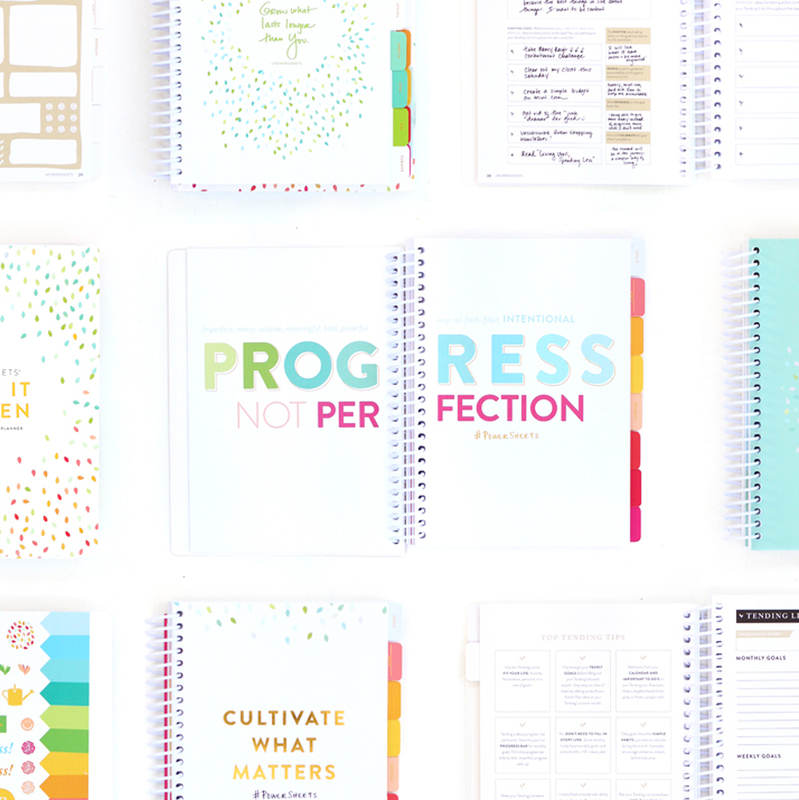 Speaking of planners… No, this is not a planner. It isn’t meant to be! When we add our (and others!!) appointments and schedules amidst our definitive goal planning, the hard work and dreams get pushed away. This is what gets me all excited and clappy! 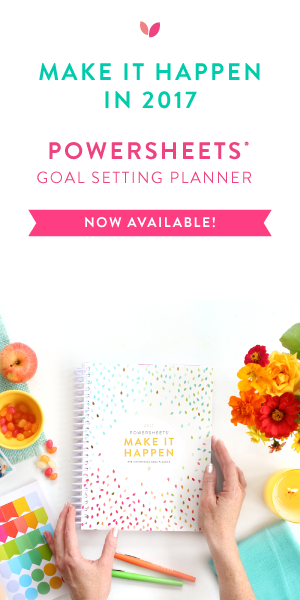 Planning realistics goals, sharing them with close friends, and making it happen! So, CHEERS! Let’s make it happen in 2017! 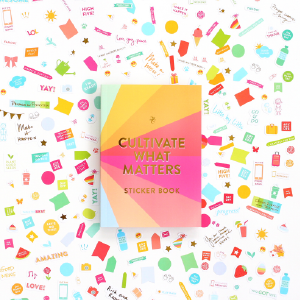 Don’t forget the ADORABLE sticker book! 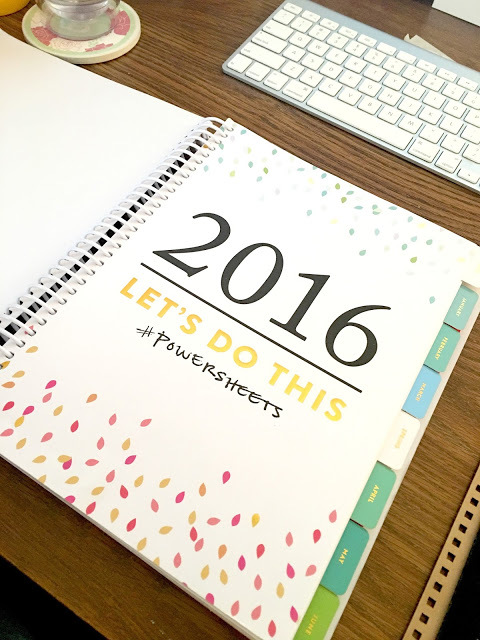 A must have with Powersheets!! « 20 Minute Dinner: Quick & Easy Mexican Pizza!